The environmental problem being addressed by this ongoing project is the amount of sand and sediment accumulating in Rapid River particularly just east of Aarwood Bridge and west to where the River joins Torch River. The DEQ issued an official violation confirming the leaching and discharge of wastewater into the wetlands, creek and Elk Lake. At least 25 non-native species of fish have entered the Great Lakes since the 1800s. Because of the Elk Rapids dam, these invasive fish species, particularly the most harmful, have never entered the Elk River Chain Of Lakes. In 2007, advocates from all the Great Lakes states urged Congress to restore and protect the Great Lakes, and a bipartisan group of U.S. lawmakers introduced a bill that provides manageable solutions to accomplish that goal. The health of our aquatic systems is often measured by the life it supports. The Common Loon, an iconic symbol of wilderness that inspires admiration among naturalists and artists alike, is a sentinel of environmental health. 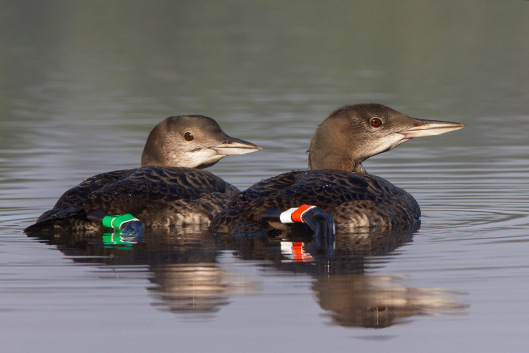 A “Loon Scout” observes loons throughout the year and records these observations until the loons migrate in the fall. Then the “Loon Scout” completes a short report and sends it to the Michigan Loon Preservation Association (MLPA). A fantastic natural resource along the east shore of Lake Skegemog, fondly known as “the swamp,” with pathways maintained by volunteers. Tips and tricks for preserving our beautiful area.